Amid a nationwide opioid addiction crisis, Columbia County Sheriff's deputies are now carrying a drug that can help save lives from opioid overdoses. Deputies are receiving training on how to administer the drug naloxone, which is used to counteract the effects of an opioid overdose, sheriff's officials say. 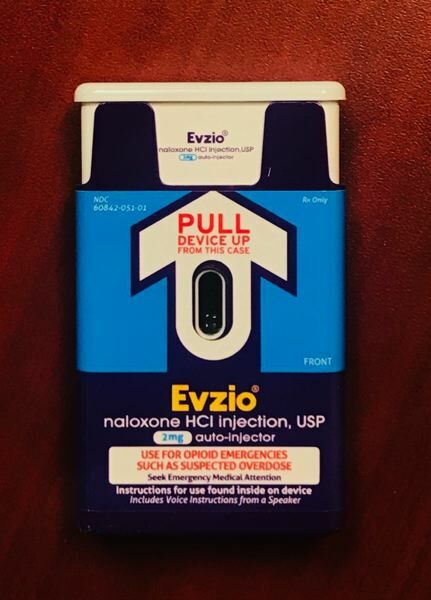 Naloxone comes in a compact nasal spray device sold as Narcan or Evzio, an injectable form an injectable form that many deputies now keep in a medical kit in their duty vehicles. "Our goal is to have every enforcement deputy have Narcan," says Jon Kinsel, enforcement captain for CCSO. Kinsel said the Sheriff's Office still has a few deputies who have yet to receive training on how to administer the drug, but most now have access to it. Kinsel says enforcement deputies are largely using the injectors, but jail deputies are equipped with the nasal inhalant version of the drug. Access to naloxone is now considered vital in the U.S. The Center for Disease Control reports that, in 2017, opioids were linked to 47,600 overdose deaths, nearly 68 percent of all overdose deaths in the country that year. CCSO is following in the footsteps of the St. Helens Police Department, which began equipping its officers with Narcan last year. The overdose antidote is now available in most pharmacies without a prescription, making it accessible to the general public in an effort to save lives. "When someone goes into overdose, they stop breathing fairly quickly," Sheriff Pixley told Columbia County commissioners in January during a weekly update from the Sheriff's Office. "The problem with naloxone, is as soon as you give it to them, it is effective for 30 to 45 minutes. ... After the drug wears off, the opioid will start taking what's left in the body ..."
Each nasal spray device contains a four milligram dose, according to the manufacturer. The antidote can reverse the effects of an overdose for up to an hour, but anyone who administers the overdose reversal medication in a non-medical setting is advised to seek emergency medical help right away. "If they're not watched, they can actually go out and they're not high anymore, so they can actually go right back into overdose," Pixley noted.